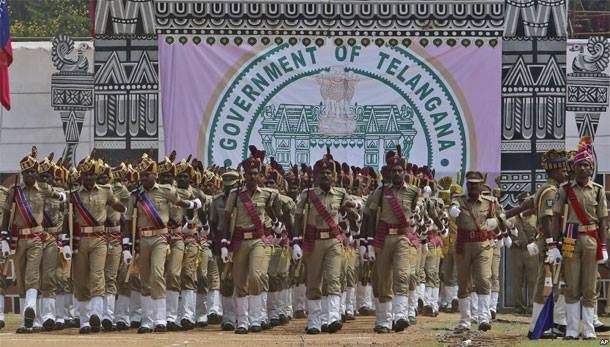 Age limit raised by three years for Telangana Police recruitment: This will be applicable for notifications already issued in 2018 for various categories of posts and also subsequent notifications to be issued till May 30, 2019 for the purpose of direct recruitment. The Telangana government raised the age limit prescribed for the appointment by direct recruitment by the Telangana State Level Police Recruitment Board to various posts in Police, Disaster Response and Fire Services, Prisons and Correctional Services departments, along with the Special Protection Force, by three years. This will be applicable for notifications already issued in 2018 for various categories of posts and also subsequent notifications to be issued till May 30, 2019 for the purpose of direct recruitment. In view of the above, the respective age eligibility criteria in all four notifications issued RC Nos. 88, 89, 90 and 91/Rect/Admn-1/2018 dated May 31, 2018 for various posts were modified and the upper age limit prescribed for appointment by direct recruitment by the Board is raised for all the posts in each of these notifications by three years. This relaxation is in addition to the upper age limit as mentioned in the said notifications, according to Board Chairman VV Srinivasa Rao. Further, it was also decided to have the qualifying language tests during the final written examination for the ranks of SCT SI Civil and or equivalent (Paper-I: English and Paper-II: Telugu/Urdu) and SCT SI (Technical) IT and C and SCT ASI FPB (Paper-I: English) in two parts. The first part being objective, with multiple choice questions, for 25 per cent of the total marks, the second part is descriptive for the remaining 75 per cent. For details, candidates can refer to supplementary notifications. The Telangana government has issued orders increasing the age limit by three years for the recruitment of police personnel. The Police Recruitment Board would implement this norm in the future recruitments. The age limit for police jobs for general category was increased from 22 to 25 years. For SC, ST and BC categories, the limit was increased from 27 to 30 years. For the SI recruitment in general category, it was increased from 25 to 28 years and for the SC, ST and BC categories, it was increased from 30 to 33 years. In a similar way, the government has relaxed the age limit by 10 years for the non-uniform jobs from 34 years to 44 years and an additional five years for the reserved quota candidates.